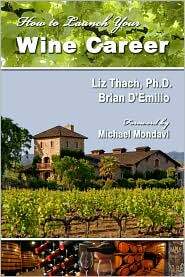 Wine Career Books – Many a person has dreamed of leaving it all to go start a vineyard in the middle of Europe or California. Or maybe you prefer a less strenuous career in the wine world…say journalism? These Wine Career Books will help you understand the variety of professions associated with the wine world and how you can start your own career in wine! An interesting overview of the different careers in the Wine Industry. Be forewarned you might just want to quit your day job… Find out more in our wine book review.